Sundance Film Review: Won’t You Be My Neighbor? Tags: Caryn Capotosto, Morgan Neville, Nicholas Ma, Sundance 2018, Won't You Be My Neighbor? From childhood, I can still remember the way mild-mannered Mr. Rogers would enter his set at the beginning of each episode, leisurely grabbing a sweater from his closet and kicking off his shoes. For me, and for many viewers, Won’t You Be My Neighbor is a nostalgic trip into what made Mister Rogers’ Neighborhood such a memorable and prolific television program, and also a testament to how much imagination and care Fred Rogers put into his show, as well as his life. 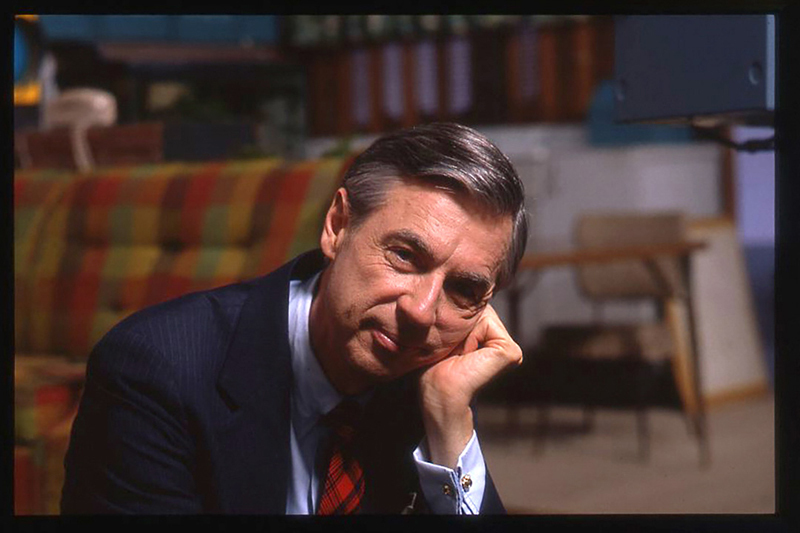 Even in the early renditions of what was later to become Mister Rogers’ Neighborhood, Rogers’ own imagination became the driving force of the show. In his first show, The Children’s Corner, Rogers popped a tiger puppet through a clock to interact with actress and hostess Josie Carey when the film roll went bad and he had to improvise. This sparked the character Daniel, which Rogers would use throughout his career. Rogers came to develop the many puppets that would appear on Mr Rogers’ Neighborhood—using them to represent different emotions, each one becoming an alter-ego of himself. Animated scenes were peppered throughout the narrative, lending visual aid to archival footage of Rogers talking about his life struggles. In these, Daniel, the animated tiger, serves as a metaphor for Rogers through the loosely linear narrative of the film. I thought this element of animation in Won’t You Be My Neighbor was very effective—there was a sense of childlike innocence in the way these problems were portrayed in the animations. This mirrored the way that Rogers would handle crises for his young audience in his show; he touched upon everything from the death of a pet to Robert Kennedy’s assassination and the Challenger disaster, providing guidance to children during these difficult times. Mr. Rogers’ Neighborhood began airing in the late ’60s, which was a strange time in television. Kids were exposed to news about the Vietnam War or shows that focused on slapstick, dumb comedy. Rogers’ goal for his program was to value children for who they were, instead of feeding them violence or trying to sell them something. Rogers, who believed in providing a genuinely good place on television for children to turn to, was also a defender of PBS in its early years. One of the most powerful clips of the documentary was of Rogers passionately defending PBS to Senator John Pastore, who seemed to be resolute in the decision to defund PBS. While Rogers, who was the last to appeal to Pastore on behalf of PBS, appeared meek and nervous, his conviction and belief in what PBS meant for kids of all backgrounds eventually won Senator Pastore over, saving public television for years to come. 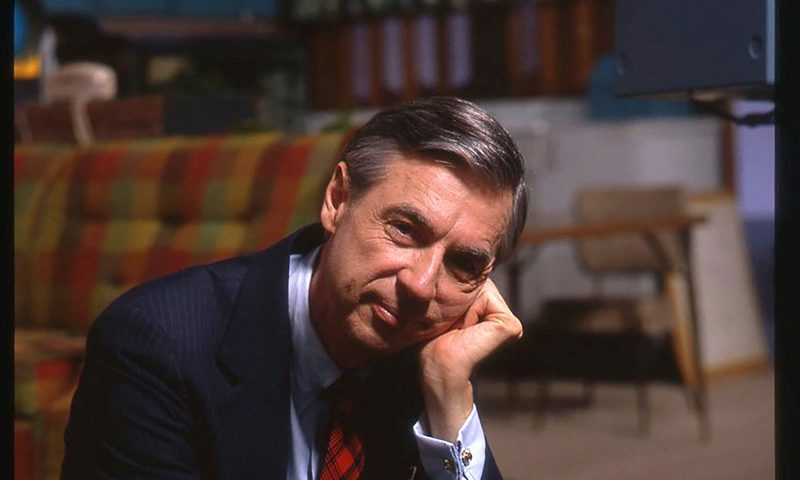 Won’t You Be My Neighbor is a emotionally wrought tribute to Rogers, with whom the filmmakers could hardly find fault. One of his sons even joked that he was almost like “the second coming of Christ.” While I don’t mind that the film makes Rogers seem nearly flawless, I feel as though some of the issues he grappled with in his life—such as feelings of inadequacy and being misunderstood—were touched upon, glossed over and then never really spoken of again. However, the moving way Rogers’ life and death are treated in the film eclipses these details: After Rogers’ death is mentioned and Daniel is shown on display at a museum, it becomes clear that Mr. Rogers had a lasting effect on all who grew up with him, and the film portrays this effect beautifully. Read more of SLUG‘s comprehensive coverage of the 2018 Sundance Film Festival.